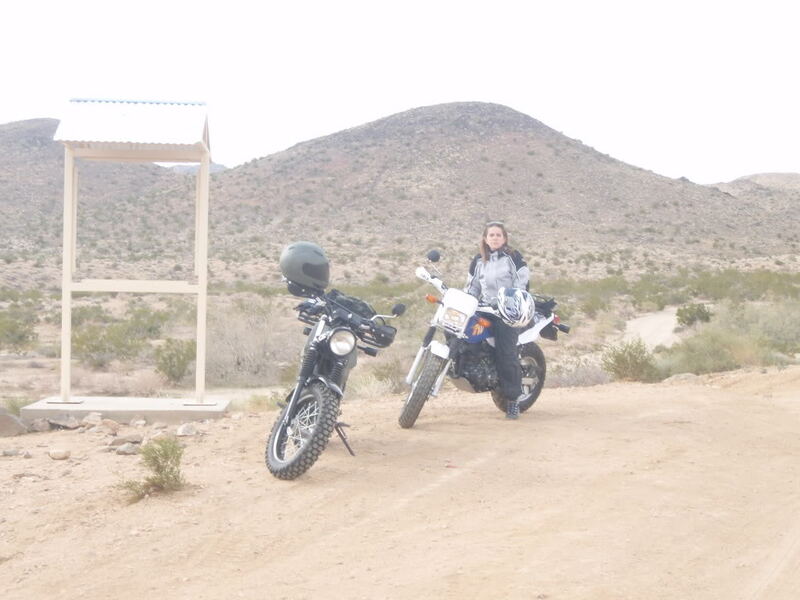 The other day while at a workshop, someone asked me what was the most outrageous adventures that I ever had on a motorcycle. Two popped into my head very quickly, the Willie Boy adventure and the trail where I earned the nickname “The Flying Nun”. 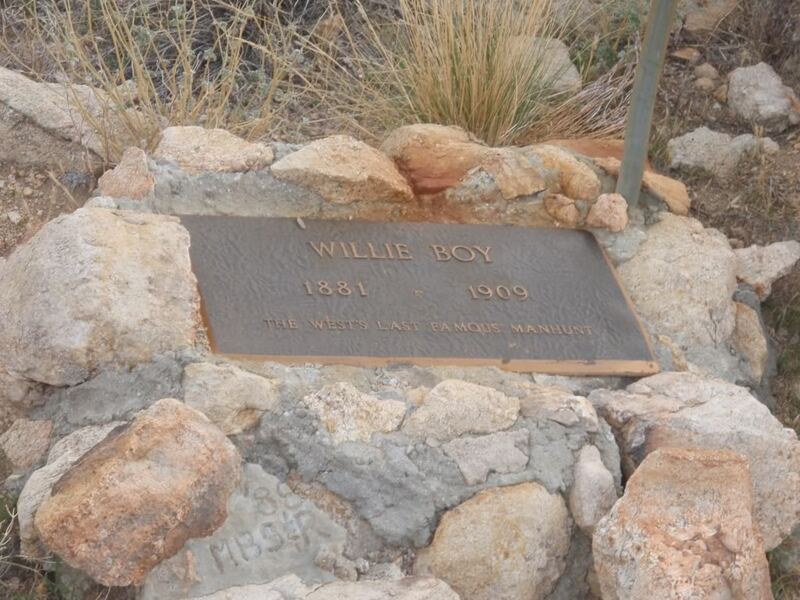 “Willie Boy” was a local Paiute Indian, and the subject of a 1909 manhunt. It was later the story line for a movie entitled “Tell Them Willy Boy is Here” starring Robert Blake and Robert Redford. The generally accepted facts of the case are that he attempted to “steal” a bride, and killed her father in the process when the father attempted to intervene. Other accounts say that he executed her father in his sleep, and then kidnapped the girl. He later killed his unwilling fiance when she became a hindrance to his efforts to elude a posse. Eventually he also shot members of said posse, and in the end took his own life by shooting himself in the head by actuating the trigger of his Winchester with his toe as the posse finally closed in. Locally this is a topic of much controversy to this day. Predictably, The Modern White Apologists, legitimate latter day historians, local Indian lore and the first person accounts and news articles of 1909 all present conflicting versions of the story depending upon which group has the podium, though most seem to concede the above are the basic facts. So I thought I’d finally pay my respects to ol’ Willy in person…..
We only encountered two people all day. One was The Good Samaritan (more on this later), the other a dirt bike rider who forced me down when he hit my rear wheel coming around this curve. It took him about 100 yards to stop his bike, he then looked back to make sure I wasn’t dead, and blasted off again. Jerkweed. Most of the riding was loose, off-camber soft stuff. Endless, though not particularly difficult. A nice, easy ride to see something I’d long postponed. It’s only 3 PM, and we got plenty of time to explore a bit before dark. From here, things got a little weird…. If you look carefully in the upper right corner of this pic, you’ll see the faint outline of what appears to be a goat trail….. So, I decided to leave Purple and her bike there while I found an alternate route by which we could extract her bike. Unfamiliar with the area, I set out on several dead-end canyons all of which appeared as if they would connect with the goat trail. Not a crisis situation by any means, but darkness and sub-freezing weather were definite on our short list of immediate realities. We had the situation in hand and all the emergency gear we’d need if anything went south. Purple and I have been in some tight spots before and I can rely on her to act calmly, rationally and logically on her own behalf if the situation warrants such. This was not yet one of those situations. Enter The Good Samaritan. 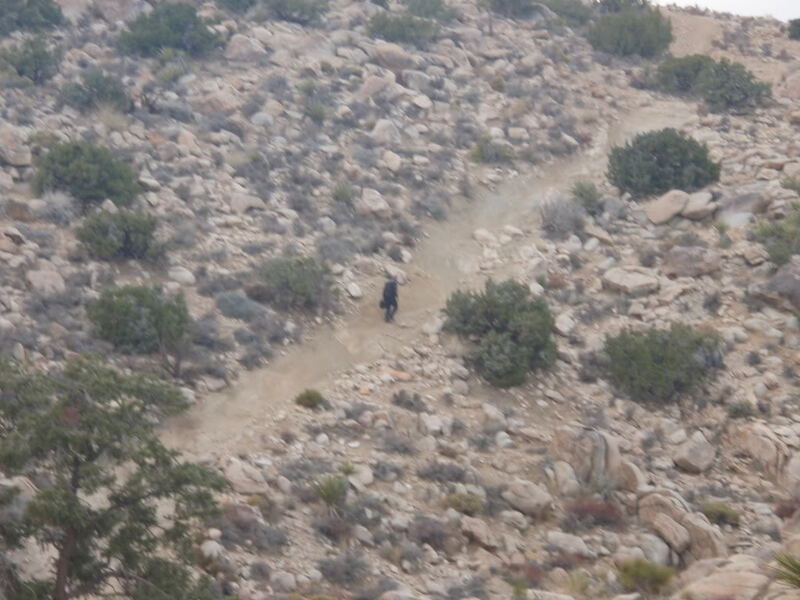 While I was searching for alternate trails I happened upon this woman who was riding a quad. In passing I related the situation, and asked her if she knew of a connecting trail that might lead to that spot. She said that she too was unfamiliar with the area and had actually been looking for Willy Boy’s grave site unsuccessfully all day. Trying to be helpful she suggested that I sound my horn and that Purple would then sound hers as sort of a locating system, and that way I would know I was on the right path. I assured her that we had the situation in hand and thanked her for her suggestion, (which was a pretty good one)… but Purple is deaf. We said adios and I thought nothing of it. Eventually I found a way in. Predictably Purple had assessed the situation and had secured the bike and moved to higher ground in the event that she needed to solve her own problem. The route out was beyond her skill level, so I left my bike in the canyon and we rode double on her bike to the main trail. I sent her on her way back to the trail head and warm truck, while I walked a couple of miles back down the trail to my bike, then rode out. Meanwhile, back in town The Good Samaritan (God love her, wherever she is tonight) evidently promptly called 911 the very instant she could get a cell phone signal. 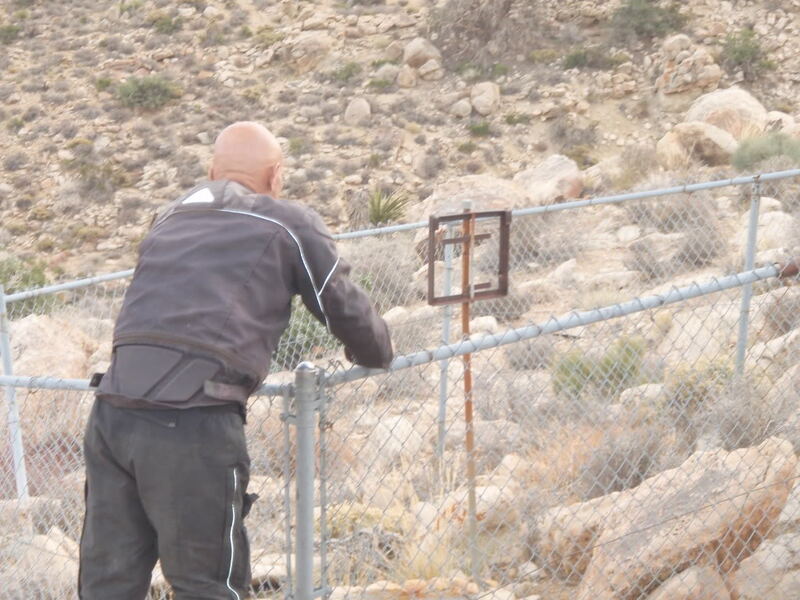 Purple was met at the truck by county sheriff’s officers and a helicopter had been dispatched to search for some poor missing deaf woman who had apparently been abandoned and left to freeze to death in some inaccessible canyon by her psycho boyfriend. It didn’t take more than a millisecond for her to figure out that the “missing” woman they were referring to was HER. Anyway, she quickly cleared up the misunderstanding, the helicopter was called back, I was spared a zillion dollar bill from the county for Search and Rescue services and everyone had a good laugh once I returned to the truck and the cops were satisfied I wasn’t an ax murderer. Actually, by the time I arrived to the landing area where the truck was, it was already dark and I was excited to see headlights thinking those people were still around. I quickly realized it was the Sheriff Department and went “uh oh”. As I pulled up, the officer approached me; the first thing the officer said was “Can you hear me?” in a loud and over enunciating voice. This is a common question when people realized that I’m deaf. Being a smart aleck, I told him that I can once I take off my helmet. Luckily he was appreciative of my joke and laughed, whew. I asked him if there was a problem and that when he told me that someone called into 911 to advise them that Russ has left me out there alone without any gears or supplies. I started laughing and the officer said “Based on what I can see that you’re fully geared and have the necessary survival gears on your bike” I explain that we always wear full gear and go out prepared. Then he asked me where Russ was and I told him what has happened and he said that he will let the helicopter continue the search…I quickly advised that it wasn’t necessary since I don’t want to pay for it. He reluctantly agreed to cancel the helicopter after persistent request. However, he wasn’t going to let me hang out alone while waiting for him just in case he was an “ax murderer”. So here to a trip down memory lanes and where the misadventures were the best of times that we ever had. Hi David…thank you. We have had many adventures together but it was the misadventures that we remember fondly. 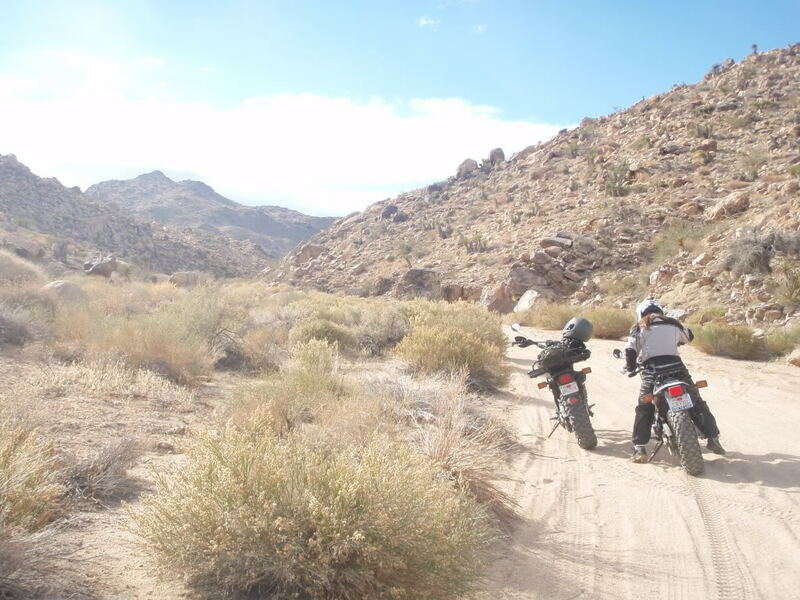 Rides like that are always remembered, that’s where the adventure is. Great story! Exactly! Those were the best! Yes and available to read over and over again.